Humans aren’t as alone as they choose to believe. Every human possesses a trait of supernatural that lays dormant within their genetic make-up. Centuries of diluting and breeding have allowed humans to think they are alone and untouched by magic. But what happens when something changes? 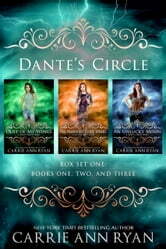 The first three books of the bestselling Dante’s Circle series are now in one place at a special low price. Do you dare enter the world of the realms? When chemist Lily Banner finds a vial of angel dust, angelic warrior Shade Griffin will have to do all in his power to protect the ancient secrets of the paranormals. Only when he finds Lily, his world shifts and his allegiance changes, forcing the ones who want Lily put down to take action. The war between the realms is on the edge of a blade and only Shade and Lily can stop it. Jamie Bennett has known Ambrose Griffin was hers from the moment she knew things that went bump in the night were real. Ambrose has held himself back because he can’t afford to lose anything else. But when Jamie is kidnapped and sent to the hell realm, the warrior angel will not only risk a war to find her, he’ll find his heart—in Jamie and Bailin. When Bailin, a demon from hell, meets the two people who could fill his heart and his soul, he’ll need to fight for something he hasn’t felt in over a century—hope. Hunter, the wolf from hell’s games, is finally ready to mate with Becca. If only Becca were ready to forgive him. Between the Pack’s council and strangers who could take everything away from them, Becca and Hunter have more to fight and everything to fight for. Hunter’s dark past takes over their courtship, and just when he thinks all his lost, he’ll find that Becca’s more than he—or she—ever thought. Amazing story hooked all the way through. Can’t wait too see how the rest of the girls go. Really enjoyed this book, believeable characters good storyline and well written. 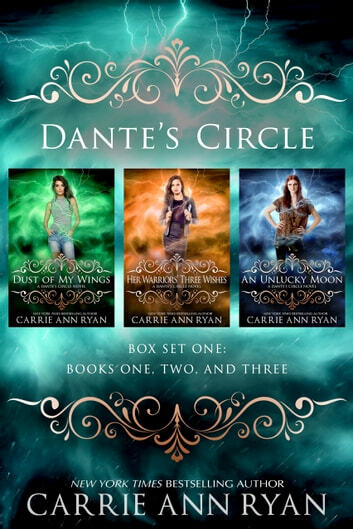 I really liked the three novels in this bundle. The characters are all highly likeable and unique in their own ways. I like the mythos of the world thats been created and enjoy how it expands with each novel. It's great to see all the characters grow and change as the series progresses. My biggest complaint is how formulaic and therefore predictable the story is once you get past the first novel. Now I did read one right after the other without reading anything else in-between and I imagine that makes it worse because everything from the previous novel is super fresh in my mind. I'm still going to read the rest of the novels in this series because I really want to see what happens to the remaining group of women and get a chance to meet their true mates and find the happiness they so rightly deserve. Despite the predictability and formulaic feel of the novels I would highly recommend giving this series a try, just space them out a bit and try really hard to not binge read like I did.